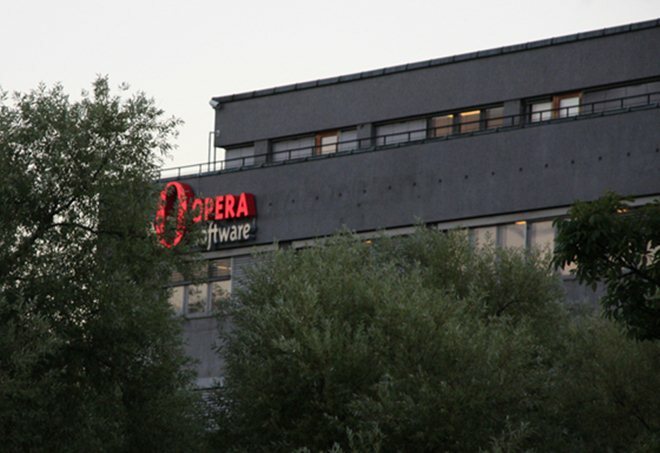 Norwegian Internet firm Opera has introduced Opera Mini Next, a new mobile Web browser aimed at giving feature phone users a more social Internet experience. Unveiled at Mobile World Congress in Barcelona today, Opera Mini Next — which is a developer beta of its popular Opera Mini browser — includes ‘Smart Page’, a new tab which gives fast and easy access to social networks from the browser home screen. The company says that the new feature will be rolled out across the entire range of Opera Mini browsers later this year, but it is first coming to the new open beta browser. Like its Speed Dial shortcuts feature — which allows easy access bookmarks — the Smart Page sits on the browser’s launch screen, giving feature phone owners faster and smarter access to Twitter, Facebook, news sources and other services. When people think of using social networks on the go, they often imagine a smartphone with the latest apps installed. At Opera, we know that’s not the way the majority of mobile phone owners access their social networks. That’s why we’ve made ‘ordinary’ phones smarter, by making it easier to use the most popular social networks right in the first screen of Opera Mini for feature phones. Just because you’re on a more basic phone, doesn’t mean you can’t be an active social networker. 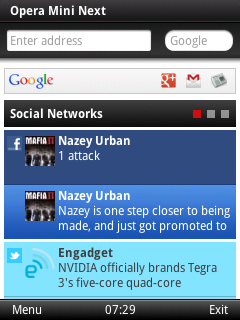 Opera has also introduced a revamped Opera Mobile 12 for Android and Symbian smartphones. The changes include the addition of WebGL for Android, which will allow developers to distribute content across a range of smartphone platforms, improved support for HTML5, an option allowing the use of a device’s camera in-browser and an improved Speed Dial feature. Last year Opera announced that its browser services had exceeded 100 million users per month, and the company reveals that more than 250 million people use its browsers across computers, phones, TVs and other devices.